Here's a HOT deal on this Gotham Steel Crisper Tray $19.99 (Retail $39.99)! Now, you can make your favorite 'fried' foods without oil or butter &amp; right in your oven! 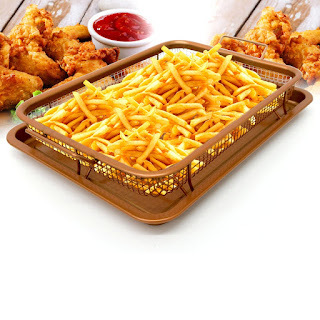 Our crisper tray works like an oil-less fryer taking up less pace &amp; energy and can even be used to grill &amp; bake foods too.